Bookmark advertising Christmas Seals. Date on stamps in illustration is 1956. 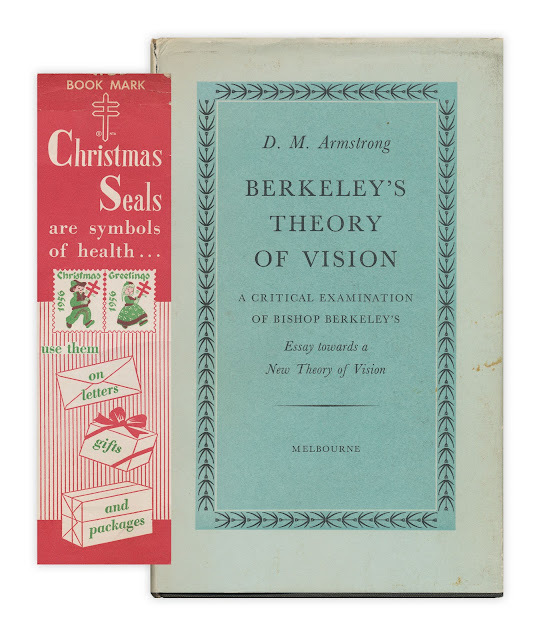 Found in "Berkeley's Theory of Vision" by D.M. Armstrong. Published by the Melbourne University Press, 1960.